As a Makeup Artist, my favorite thing to do is weddings! As an artist, I love making women feel good about themselves. What’s unique about my approach is that I ask questions and listen first. I do this because my client’s personal vision and comfort are the utmost priority. 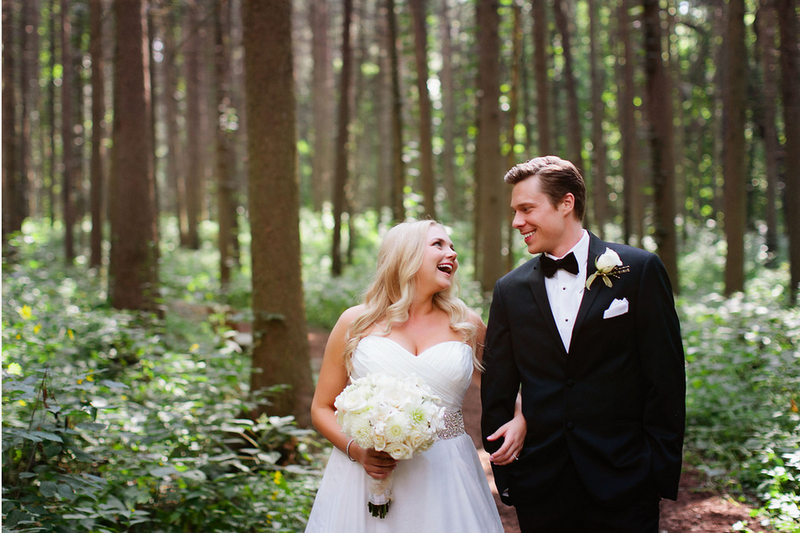 I love getting to know my brides, and enjoy hearing all about their wedding details. I truly appreciate the hard work & dedication it takes to plan such a special event. My aesthetic style as a bridal artist is soft, romantic & elegant. My favorite type of looks are those that highlight my client's natural beauty and enhance their best features. I personally love when my brides want to look and feel like the "very best version of themselves" on their wedding day because they envision their ideal look to be fresh & modern yet classically timeless. I encourage collaboration and open communication.…I invite my clients to be very involved when creating their bridal look and we work together to make sure our visions align throughout the entire makeup design. Personal Service…Since I am an independent artist, I specifically choose to take on a limited amount of weddings each year. This is special to me because I really am able to give my full undivided attention to you & your wedding party. It’s an honor and a privilege to spend a part of my bride's wedding day with her. On the day of, I strive to make sure you are pampered, feel relaxed & and so you can truly enjoy being present on your special day! I love being able to be a part of a Bride's special and most important day. Also, pictures will be taken inside and outside, and in different lighting and seasons (something so important to think about with changing Chicago weather). Because of this, I've learned what cosmetic products work best for professional photo, as well as the longest wearing makeup so you look and feel great all day! Timelines...I can work with you to come up with a beauty schedule for your wedding. By us having this organized and planned out with intention, the "getting ready" part of the day will flow smoothly. Because of my experience, I am confident in preparing timelines & what to plan for on the day of. I also take pride in my awareness in keeping everyone on track for their services. I'd be more than happy to guide you through this part, or work with your planner to ensure the details. On-Location Services...I travel to all of my clients for both the preview and the day of. This makes it easier so you & your wedding party can get ready at home or hotel. It can also be a lot more comfortable, relaxing, and intimate as well. Referrals...I've worked with some wonderful & talented people in the wedding industry, and would love to share my vendor referrals with you! The Preview...the preview gives you a chance to describe your vision on how you want to look on your big day. It also gives me the opportunity to work with you step by step to make sure you feel heard, comfortable, and part of the creation. I’ll ask guiding questions and welcome feedback so that we are always on the same page. As always, your bridal look is a total collaboration between us two! Most of my booked bridal clients tend to prefer natural, classic and polished bridal look. Special Events...I am also available for makeup application when it comes to other special events when it comes to your wedding: Engagement Photos or Parties, Bachelorette Parties, Bridal Shower, Rehearsal Dinner. These appointments can be booked separate, or added on to the bridal package. Thank you again for your interest - Please know that I sincerely appreciate your time and consideration in learning more about my wedding services. I believe that as a Bride, you deserve the most out of your investment in professional photo & video of your wedding day and your makeup should reflect the best version of you. My intention is for you to not only look back and remember how beautiful you felt, but remember how comfortable, confident, and special you felt because you chose Carly Pribich, Makeup Artist as your bridal artist. (c) 2019 Carly Pribich, Makeup Artist - All rights reserved.